Many serious cyclists use the SportCrafters Cadence Rollers to hone their cycling skills and improve their stamina and balance. You pedal on free-spinning drums, acutely aware that you could slip off on fall off the bike if you lose your focus. It strengthens you mentally and physically. 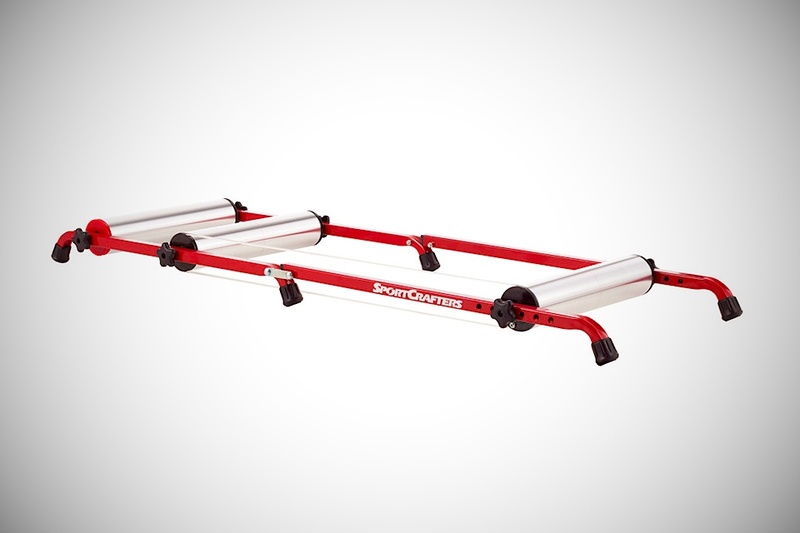 A newer version, the SportCrafters OverDrive Pro Rollers, combines roller training with the resistance of a fluid trainer. It looks identical to the Cadence Rollers but the faster the drums spin, the resistance is increased in a non-linear way, which makes it a lot harder than the Cadence and could produce better results on your training.